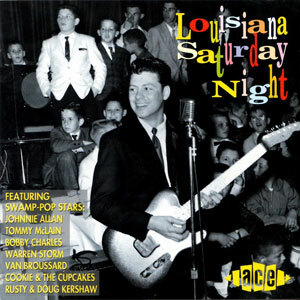 Louisiana Saturday Night is the follow-up to the classic Swamp Pop compilation Another Saturday Night (ACE 288). 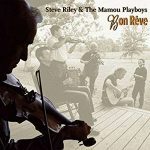 Derived from material cut for Jin, La Louisianne, Hickory, Khoury’s, Goldband, and other labels, this generous CD includes a great sampling of your favorite Swamp Pop hits. 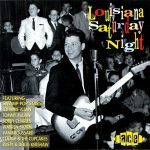 Compiled by John Broven, the album comes complete with sleeve notes detailing the background to the development of Swamp Pop and offering a flavor of “another Saturday night” way down south. 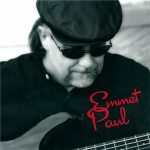 Released in 1993, 26 tracks.